"I strongly condemn Somnath Bharti's misogynistic and shameful statements against a female reporter. I believe NOIDA Police has filed an FIR in the matter. Law shall now take its course.." Swati Maliwal tweeted. AAP leaders asked Swati Maliwal if she would seek similar action against BJP leaders. 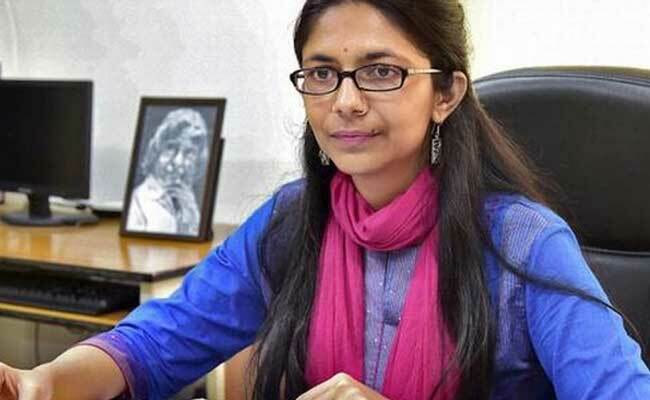 Delhi Commission for Women (DCW) chairperson Swati Maliwal, a close associate of Chief Minister Arvind Kejriwal, was trolled by her party members after she rebuked AAP MLA Somnath Bharti for allegedly using objectionable language against a television anchor. "I strongly condemn Somnath Bharti's misogynistic and shameful statements against a female reporter. I believe NOIDA Police has filed an FIR in the matter. Law shall now take its course. I strongly feel people in public life should control their anger!" Ms Maliwal tweeted. The police had registered an FIR on Wednesday against Mr Bharti on a complaint by the woman anchor. Reacting to Ms Maliwal's tweets, Mr Bharti hit back saying she came out with a judgement on him watching a 20-second video and questioned her if she would seek similar action against leaders from the ruling party at the Centre. Raghav Chadha, AAP leader and party's Lok Sabha in-charge for south Delhi Lok Sabha constituency, took an aim at Ms Maliwal saying he hoped that she will also seek swift action against politicians from the ruling party at the Centre. Mr Chadha is also the probable candidate for the south Delhi Lok Sabha seat. Senior AAP leader Dilip Pandey and party's Lok Sabha in-charge of Northeast constituency also retweeted Mr Chadha's tweet. As the issue triggered a storm online, Arvind Kejriwal, while reacting to a tweet from a journalist against Ms Bharti, also took the same line of seeking action against leaders of the BJP. AAP leaders Preeti Sharma Menon, Durgesh Pathak too echoed the CM's views. Senior leader of AAP Atishi Marlena also sought to defend Mr Bharti. Ms Maliwal, who looked after the grievance cell of the chief minister before her appointment as the DCW chairperson, is considered a close confidante of Arvind Kejriwal. She is also one of the party workers who have been associated with Arvind Kejriwal since the days he ran an NGO. Both are ardent practitioners of Vipassana. Ms Maliwal is married to AAP leader Naveen Jaihind.